I try to push my boundaries and challenge myself to face my fears each day, which is why I have chosen to write about something I would normally shy away from. I also figured that a lot of times the people who speak or write about the issue of finding Mr or Miss Right as the case maybe are usually married and so are seen as authorities in this field. It doesn’t really matter if they are not happy in their marriages or if they are constantly cursing or exchanging blows with their partners everyday, the bottom line is that they managed to get someone (either by hook or by crook) to “put a ring on it” in the case of the ladies or accept their proposal for the guys which is a feat that a single person hasn’t been able to achieve (yes, in this part of the world people see marriage as an achievement). And so, as a single lady, I am treading where “Lions” dread to tread by writing about it. I am also taking this on because I don’t want to be a hypocrite…I don’t want to get married tomorrow and write about this all important search the following week because I believe I now know better and have the secret formula to holding down a man. So for the single people out there, this is a single person’s perspective to all the fuss about finding the dream guy or girl. A couple of days ago, I was reading a piece by ace comedian Ali Baba where he basically recounted his interesting encounter with a single lady who talked about the criteria for a man’s elegibility as a potential husband. According to her, the man must first and foremost be available and if you are now nodding your head in agreement with this notion thinking she’s obviously right, then I am sorry to disappoint you. Availability according to this lady is relative and to some ladies, a married man could be tagged available regardless of his marital status! Unsurprisingly, she reeled out the usual “he should be good looking, have a car, be able to pick up the bills” and a couple of other attributes most women desire in a man. This conversation between Ali Baba and the single lady took place in a club where she downed a glass of Hennessy VSOP in between talks and also proceeded to smoke a Cuban cigar. At this point, he began to wonder if she had missed out on Mr Right several times because Mr Right simply didn’t want a wife who drank talk less of one who smoked! Which brings me to my personal observation as regards this matter. We want to get married because everyone else is getting married; Many times, no one really cares if a person is psychologically ready to handle the responsibility that the marriage institution confers. In these parts, there is immense pressure from the family, peers and society once a person is deemed old enough to be married, and so this inevitably results in the crazy and often frenetic search for the right person which sometimes leads to getting hooked to Mr/Miss Wrong instead. This is one of the reasons why I advocate that everyone discovers themselves to a certain point first. If you haven’t found yourself as an individual, how do you appreciate your values, aspirations, likes and dislikes enough to know who is likely to be right or wrong for you? A girl can only view a married man as available because she has a skewed outlook to what marriage means and is desperate to be married among other factors. We desire that our partner possesses all the good qualities in the world while we forget to work on ourselves; I understand that many people want to be with someone who complements them in one way or the other but I believe we can agree that you have to bring something meaningful to the table too. There is nothing that irritates me more than hearing someone who is obviously lacking in good behavior talk about their desire to marry a well behaved man or woman. I mean, do you honestly think you have the right to wish to marry a good girl and possibly a virgin when you are literally known as the “baddest guy ever liveth” who is a regular at all the brothels in your neighborhood? As a lady who is illiterate in this day and age, do you think that you are entitled to marry a man who is not only a graduate but is at the top of his game career wise?…and even if by some stroke of luck, magic or otumokpor you manage to pull this off , you can be sure that the constant embarrassment you will cause him will most likely not make the marriage work. You don’t want to marry a lady that smokes yet you’re a chain smoker. You’re looking for a guy who earns six figures while you are yet to even graduate after spending 8 years in school no thanks to countless carry overs! It’s ridiculous! Preposterous! The sooner we stopped looking for the perfect man or woman and work on ourselves as individuals the better for us! If it is true that it’s really a search, then let’s make sure that we are at least doing it right. Many times I think some guys haven’t just got “game”, or how else does one explain a guy who hardly knows a lady in the real world and is just a Facebook friend or Twitter follower starting up a conversation inbox with some weak or overused lines, declaring love for this lady whom he hardly knows! How about introducing yourself properly and trying to be her friend first before playing the love card? Makes more sense to me because I believe it’s actually easier for the men who are supposed to do the “hunting” as opposed to the ladies who are mostly expected to wait for the men to woo them. Marriage is not a game and if we as singles are a little more realistic and a little less selfish in our bid to find the right person we will most likely be happily married someday. Afterall it is often said that there’s a man for every woman and vice versa. PreviousPrevious post:The Customer Service PlagueNextNext post:No! Not Our Kpomo! Another fantastic write up Lolo,way to go! Lola, i agree with all you have said. i believe your next article will address the checklist men or women should focus on while looking for a partner. In my own opinion i believe self discovery is important before marriage. Who are you and how do you want to affect the world beyond getting hooked? This is a precusor!!! Hmmmmm, I’ll consider doing that. Self discovery Is absolutely important. Thanks a lot Charles Efe. Thanks 4 sharing and taking the bold step. It’s absolutely true that virtues like patience, respect, communication and of course the leading of God are important im a good relationship or marriage. Capturing all these in the article would have made it really lengthy which I was trying to avoid. Thank you for pointing it out sir. Lovely write up. If only people will listen and learn. Thank you Bola. Let’s hope we can all learn a thing or two from it. Thanks Lolo its absolutely necessary for us ladies and guys as well to get that into our skulls…..Ladies especially don’t appreciate their values that’s why we just give in to anything……I found myself first,I Know my Values and by Gods grace my value is HIGHLY appreciated by someone who we deserve each other.My advise is to work on yourself and don’t ever compromise irrespective of 6..7..0r 10 digits……. Nice one Lola! You can be sure I’ll personally bear the advice in mind. Thank you. This is a fantastic write up Lolo. This article is a learning curve for both the married and the unmarried. The married is not a hero or heroine becasue of his/her present status. To the unmarried, your present status does not also make a villain or victim. Hmmmmm, food for thought. Our status shouldn’t determine how we view ourselves or others. Thank you Jonathan. hmmm….Nice write-up Lolade! so so true.. .self discovery however, still continues even after marriage..but at least,some basic discoveries must be made before saying ‘I do” as you have rightly said.. keep it up dear. Oh yes I agree, we really never stop discovering ourselves. Thanks Idowu. Nice write up Lolo.I really like the self discovery point. To the singles,we have a unique opportunity of self discovery before saying ‘I do’ and not repeat the errors of others .He who has an ear,let him hear. Deep! Quite a unique perspective to the subject matter. Interestingly however, the “badht guyz” most times get the “good gurlz” and vice versa! I wonder under what law of life this is going to be classified. Opposite elements attract right?? OR do we just say Life is not fair. . ? Maybe this is what influences the aspiration of some singles that somewhat fall short of certain “standard marital qualities” to desire the “cooked meal” kind of spouse. While I quite agree that there is a man for every woman and vice versa. . It behoves on that “single” to be less fairy-taled in their search. 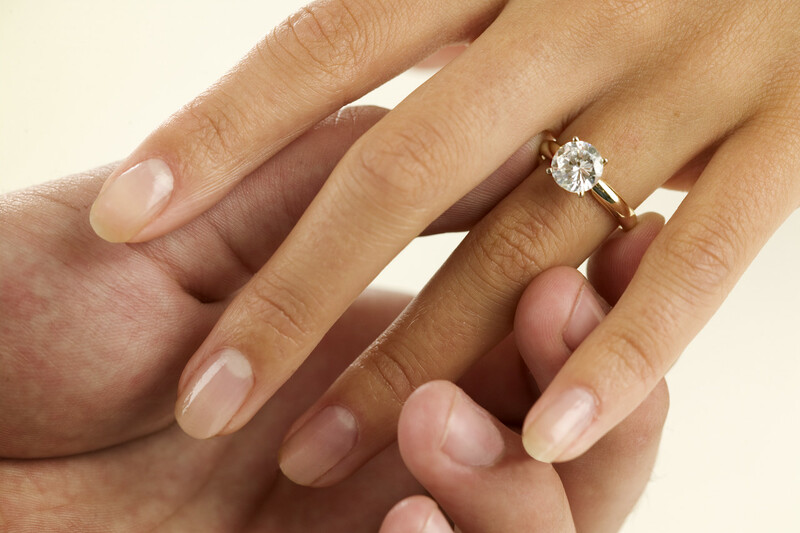 It is quite a sensitive issue as no one really wants to “settle” for a choice as a life partner. Nonetheless, there is never a 100% complete man or woman. . You have to make he/she 100% to ur spec! Whilst crowning it all with prayers to the Almighty for guidance. Really I find it hard to comment on this, because every day I always have a fight with some of my male friends who are still singles who believe that they deserve what they do have. My advise as always be, be yourself and be friends with the female first ( this in agreement with your last point). Also I like to point out that be bad or good shouldnt deny you of being married as long as you are ready to tell the person you want to walk the rest of your life the TRUTH about your person. When I meant truth I meant it in all facet of your life; from the good to bad and even worst of your life, your strength and weakness even right start. In all stop searching for Mr/miss right but look inward and FRIEND(a person whom one knows and with whom one has a bond of mutual affection, typically exclusive of sexual or family relations. Thanks for sharing your opinion Yemi. I agree that nothing should be hidden in a relationship. However, it doesn’t negate the fact that there’s always room for self-improvement.